Draft: 2005, Colorado Rockies, 21st rd. Rangers' history: 6'10"-Chris Young (2004-05); 6'8"-Mike Smithson (1982-83), Kameron Loe (2004-08), Dustin Nippert (2008-10), Doug Fister (2018). Appeared in a career-high 46 G, 4th-most on staff… marked 1st ML action since 2015 w/ NYY…entered in the 7th inning or later in 43 of 46 G…ranked among A.L. relief leaders in BB/9.0 IP (4th, 1.08) and SO/BB (5th, 7.40)…marked the lowest single-season BB/9.0 IP rate by a reliever in WAS/TEX franchise history (min. 40 IP)…issued walks in 4 of 46 G, multiple walks just once (7/4 vs. HOU)…had a 1.224 WHIP that ranked 3rd on TEX staff (min. 40.0 IP) to only Jose Leclerc (0.850) and Mike Minor (1.121). Earned save in season's 1st appearance on 4/1 vs. Saitama Seibu Lions but was then sidelined until 5/7 with a right forearm muscle strain…was used in a set-up role the rest of the year, ranking 9th in NPB in holds (29)…posted lowest ERA (1.19) on the Fighters staff while holding opponents to .165 batting average…issued runs in just 4 of 40 overall outings and worked 20.2 scoreless frames in his last 21 appearances beginning 7/9…had a 0.48 ERA (1 ER/18.2 IP) in 20 appearances at the Sapporo Dome. Was a Pacific League All-Star and tied for 5th in the PL in saves (21 in 24 tries) in 1st NPB season…also had 19 holds…fanned 57 with just 7 BB in 50.2 IP…allowed runs in 6 of 52 games and did not permit an earned run (1 total run) over 27.1 IP in last 28 appearances beginning 6/15…did not pitch after 9/4 due to an ankle injury that sidelined him during Hokkaido's playoff run to the Japan Series championship. Made 24 relief appearances over 3 stints with NYY… opened the season with the Yankees and had a 3.55 ERA (5 ER/12.2 IP) over 15 games before going on DL on 5/9 with right elbow tendinitis…struck out the side in a perfect 5th inning in NYY debut on 4/6 vs. TOR, just the 2nd Yankees pitcher since 1914 to fan every batter faced in his team debut (min. 3 BF), joining RHP Edwar Ramirez (3K in his Major League debut on 7/3/07 vs. MIN)…earned lone ML save on 4/28 vs. TB… was activated and optioned to Scranton/Wilkes Barre (AAA) on 5/31…was also with NYY from 6/11-19 (5 ER/3.1 IP in 3 G) and 9/11-end of season (3 ER/4.2 IP in 6 G)…had 3 wild pitches in 1.0 IP, 6/13 at BAL…overall, allowed a run in 8 of 24 games and had 5 holds…posted a 3.18 ERA with 2 saves in 20 outings at SWB. 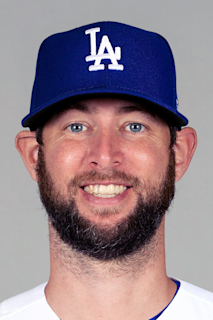 Made his Major League debut with Colorado, posting a 6.89 ERA (15.2IP, 12ER) and 14K in 16 relief appearancesover two stints with the Rockies (4/25-5/20 and 6/5-21)…opponents batted .338 (22-for-65, 2HR); LH .333(8-for-24, 0HR), RH .341 (14-for-41, 2HR)…retired 10-of-16 ﬁrst batters faced (62.5%)…stranded each of his ﬁve inherited runners... Was signed to a Major League contract and selected to Colorado's 25-man roster on 4/25…made his Major League debut on 4/26 at Los Angeles-NL, tossing 1.0 scoreless inning (1H, 1BB)... Also saw time with Triple-A Colorado Springs, going 1-3 with ﬁve saves, a 4.39 ERA (26.2IP, 13ER) and 36K in 25 relief appearances... Was designated for assignment by Colorado on 1/5/15 and acquired by the Yankees in exchange for cash considerations on 1/13/15. Split the season between Double-A Portland and Triple-A Pawtucket...began the season with Portland and tossed 21.0 scoreless innings in 12 games...Joined Pawtucket on 5/13 and went 3-3 with 2 saves over 30 games, all in relief...had a 3.18 ERA (51.0 IP, 18 ER) with Pawtucket...Spent the winter with Leones del Escogido of the Dominican Winter Leagues...picked up six saves for Leones in seven opportunities...did not receive a decision in his eight games and did not allow an earned run or walk. Returned to Double-A Portland and spent the entire campaign with the Sea Dogs...Began the season as a starter after primarily pitching as a reliever last year...Held left-handed opponents to a .215 AVG (28-for-130)...Recorded a season-high 8 strikeouts on 6/21 vs. Harrisburg...Went back to the bullpen on 8/1 after returning from his 2nd stint on the DL...After the season, went 1-0 with 2 holds, a 3.38 ERA (4 ER/10.2 IP), and 12 strikeouts compared to 1 walk in 7 appearances for Surprise of the Arizona Fall League. Had contract purchased from the Grand Prairie AirHogs of the independent American Association on 3/31...Went 6-2 with 4 saves and a 2.55 ERA (21 ER/74.0 IP) in 23 games between Single-A Greenville, High-A Salem, and Portland...Lasted at least 2.0 innings in 20 of 22 relief appearances...Earned 4 wins in 6 relief appearances for the Drive...Made only start on 6/24 at Lexington in final appearance for Greenville...Transferred to Salem on 6/29 and tied for 3rd on club with 4 saves...Sent to Portland on 8/19 and appeared in 3 games. Went 4-0 with a 1.96 ERA and 36 strikeouts in 36.2 innings for Grand Prairie. July 31, 2018 Texas Rangers activated RHP Chris Martin from the 10-day injured list. July 29, 2018 Texas Rangers sent RHP Chris Martin on a rehab assignment to Round Rock Express. July 5, 2018 Texas Rangers placed RHP Chris Martin on the 10-day disabled list. Left groin strain. July 4, 2018 Texas Rangers recalled RHP Chris Martin from Round Rock Express. July 3, 2018 Texas Rangers optioned RHP Chris Martin to Round Rock Express. June 22, 2018 Chris Martin roster status changed by Texas Rangers. June 15, 2018 Texas Rangers placed RHP Chris Martin on the 10-day disabled list retroactive to June 12, 2018. Right calf strain. May 20, 2018 Texas Rangers activated RHP Chris Martin. May 14, 2018 Texas Rangers sent RHP Chris Martin on a rehab assignment to Frisco RoughRiders. May 2, 2018 Texas Rangers placed RHP Chris Martin on the 10-day disabled list retroactive to May 1, 2018. Right forearm irritation. December 15, 2017 Texas Rangers signed free agent RHP Chris Martin. November 2, 2015 New York Yankees released RHP Chris Martin. October 7, 2015 New York Yankees activated RHP Chris Martin. October 6, 2015 New York Yankees reassigned RHP Chris Martin to the minor leagues. September 11, 2015 New York Yankees recalled RHP Chris Martin from Scranton/Wilkes-Barre RailRiders. August 21, 2015 Scranton/Wilkes-Barre RailRiders activated RHP Chris Martin from the 7-day disabled list. July 27, 2015 Scranton/Wilkes-Barre RailRiders placed RHP Chris Martin on the 7-day disabled list retroactive to July 25, 2015. June 19, 2015 New York Yankees optioned RHP Chris Martin to Scranton/Wilkes-Barre RailRiders. June 11, 2015 New York Yankees recalled Chris Martin from Scranton/Wilkes-Barre RailRiders. May 31, 2015 New York Yankees optioned RHP Chris Martin to Scranton/Wilkes-Barre RailRiders. May 30, 2015 New York Yankees sent RHP Chris Martin on a rehab assignment to Scranton/Wilkes-Barre RailRiders. May 9, 2015 Chris Martin roster status changed by New York Yankees. January 13, 2015 Colorado Rockies traded RHP Chris Martin to New York Yankees for cash. January 5, 2015 Colorado Rockies designated RHP Chris Martin for assignment. September 29, 2014 Colorado Rockies recalled RHP Chris Martin from Albuquerque Isotopes. August 22, 2014 Chris Martin roster status changed by Colorado Springs Sky Sox. August 12, 2014 Colorado Springs Sky Sox placed RHP Chris Martin on the 7-day disabled list. Lower back strain. July 26, 2014 Colorado Springs Sky Sox activated RHP Chris Martin from the 7-day disabled list. June 21, 2014 Colorado Rockies optioned RHP Chris Martin to Colorado Springs Sky Sox. June 5, 2014 Colorado Rockies recalled Chris Martin from Colorado Springs Sky Sox. May 20, 2014 Colorado Rockies optioned RHP Chris Martin to Colorado Springs Sky Sox. April 25, 2014 Colorado Rockies recalled Chris Martin from Colorado Springs Sky Sox. April 2, 2014 RHP Chris Martin assigned to Colorado Springs Sky Sox. December 18, 2013 Colorado Rockies traded 3B Jonathan Herrera to Boston Red Sox for LHP Franklin Morales and RHP Chris Martin. October 18, 2013 RHP Chris Martin assigned to Leones del Escogido. May 11, 2013 RHP Chris Martin assigned to Pawtucket Red Sox from Portland Sea Dogs. March 3, 2013 Chris Martin assigned to Boston Red Sox. August 1, 2012 Chris Martin roster status changed by Portland Sea Dogs. July 5, 2012 Portland Sea Dogs placed RHP Chris Martin on the 7-day disabled list. June 16, 2012 Portland Sea Dogs activated RHP Chris Martin from the 7-day disabled list. May 29, 2012 Portland Sea Dogs placed RHP Chris Martin on the 7-day disabled list. March 17, 2012 RHP Chris Martin assigned to Boston Red Sox. August 19, 2011 RHP Chris Martin assigned to Portland Sea Dogs from Salem Red Sox. June 29, 2011 Chris Martin assigned to Salem Red Sox from Greenville Drive. May 20, 2011 Chris Martin assigned to Greenville Drive from Boston Red Sox. March 31, 2011 Boston Red Sox signed free agent RHP Chris Martin to a minor league contract.